The New York tabloids are abuzz with the news. Rats are taking over 1 World Trade Center, the glitzy new office tower built at Ground Zero. They’re chewing through carpet, snacking on crumbs of food left on computer keyboards and generally terrorizing the building’s anchor tenant – publishing house Condé Nast. Stories have chronicled the reactions of editors and writers with Vogue, Vanity Fair, Glamour, Allure, Teen, Self, GQ, Bon Appétit and New Yorker magazines, all of which have recently moved into or at least toured their new digs at what was supposed to be the city’s poshest new address. Some might find humor in the thought of Vogue Editor Anna Wintour having to fight off a burly rodent to get to her morning coffee. Cream, sugar and a little vermin on the side, Anna? But others have a decidedly more sober take on the stories coming out of the New York Post, New York Observer, the Daily News and other publications. 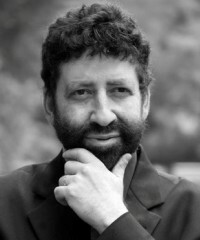 In fact, this news may be a signal, another “harbinger” of America’s decline as a result of turning its back on God and Judeo-Christian values, says Messianic Jewish Rabbi Jonathan Cahn. 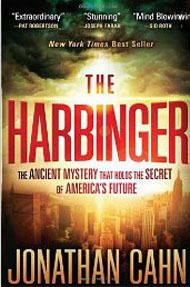 Cahn, author of the New York Times-bestsellers “The Harbinger” and “The Mystery of the Shemitah,” says that since his first book was released in 2011, the harbingers he revealed have not stopped. What is this ‘Shemitah’ business all about? Get WND special e-book primer on ‘The Shemitah’ FREE – right now! “They have continued to manifest and unfold,” he said. The pattern of national judgment spelled out in “The Harbinger” was set years before the nation’s destruction. In it, an attack takes place on the land, and a breach of the nation’s security is carried out by the nation’s enemies. It happened to ancient Israel in 732 B.C. It happened in America on Sept. 11, 2001. The vow, the defiance and the nation’s attempt to come back stronger without God leads to judgment and destruction, Cahn believes. All nine harbingers that appeared in ancient Israel have now manifested in America. 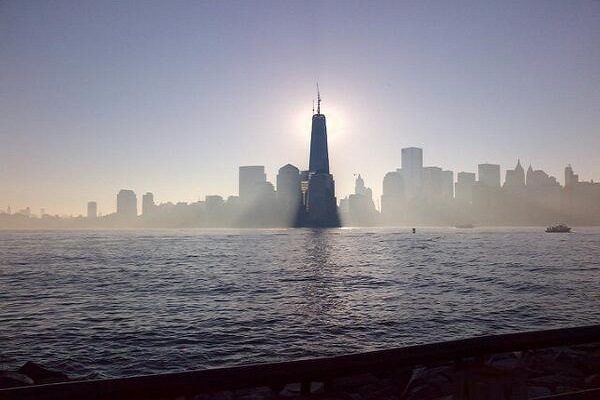 The fourth harbinger is the rebuilding of the Tower of Ground Zero, also called 1 World Trade Center. In other words, a tower would rise up from the ruins of the destruction. Four of the nine harbingers concern the first warning of judgment. Five of them are signs of the nation’s defiance: the tower, the “stone of judgment,” the “erez” or cedar tree, the utterance and the prophecy. “The strange thing is that it’s as if every one of the harbingers that stand for America’s defiance are under a curse,” Cahn said. Fifth Harbinger – The stone of judgment, which formed the cornerstone of the tower, was removed from Ground Zero and put into disuse. Seventh Harbinger – The erez tree, or biblical cedar, which was planted at the corner of Ground Zero to replace the fallen sycamore, and called the “Tree of Hope,” a symbol of America combing back stronger, has decayed, withered away and, just recently, died. Eighth Harbinger – The American leader who uttered the ancient vow of defiance of Isaiah 9:10, former Democrat Sen. John Edwards, fell from grace as a result of scandal. Ninth Harbinger – The other American leader who prophetically pronounced judgment on America in the form of the ancient vow, from the floor of the Capitol, the day after 9/11, was former Democrat Sen. Tom Daschle. He also fell from grace and from national life. So what does all this have to do with rats overrunning the new tower at Ground Zero? According to an article in Women’s Wear Daily, the “rat problem” at One World Trade Center has gotten better after a few visits from pest control. But the rat plague is only getting worse, according to a report by the Real Deal, a trusted source of real estate news in New York City. In November, Vogue staffers – including the magazine’s matriarch, Anna Wintour – said they were avoiding their new offices due to a “rat infestation.” Now sources tell the New York Daily News that the rats have “taken over.” Employees have been told not to eat food at their desks, and a complaint has been filed with the city’s health department. Condé Nast is a subsidiary of Advance Publications, owned by S.I. “Si” Newhouse Jr. and his brother Donald. Si Newhouse has a net worth of $9.5 billion and is the 10th richest resident of New York City and the 52nd richest person in the United States, according to Forbes.